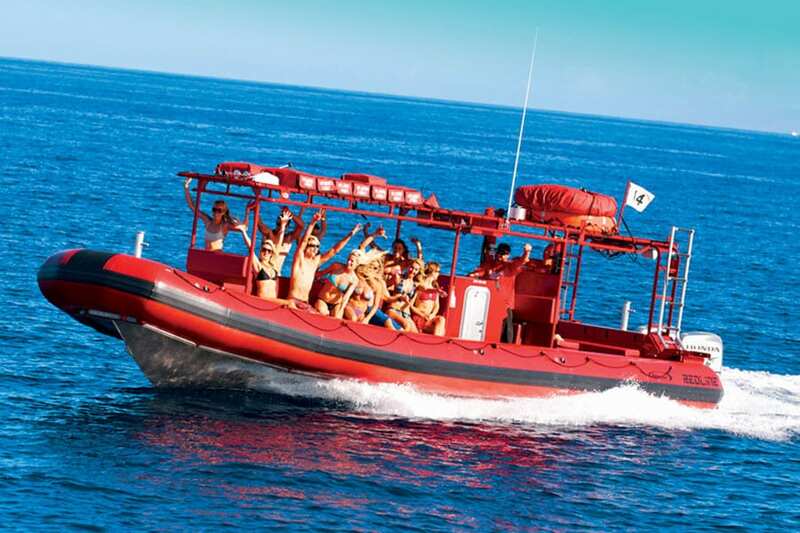 The Snorkel Molokini tour is one of the most classic of all Maui activities. 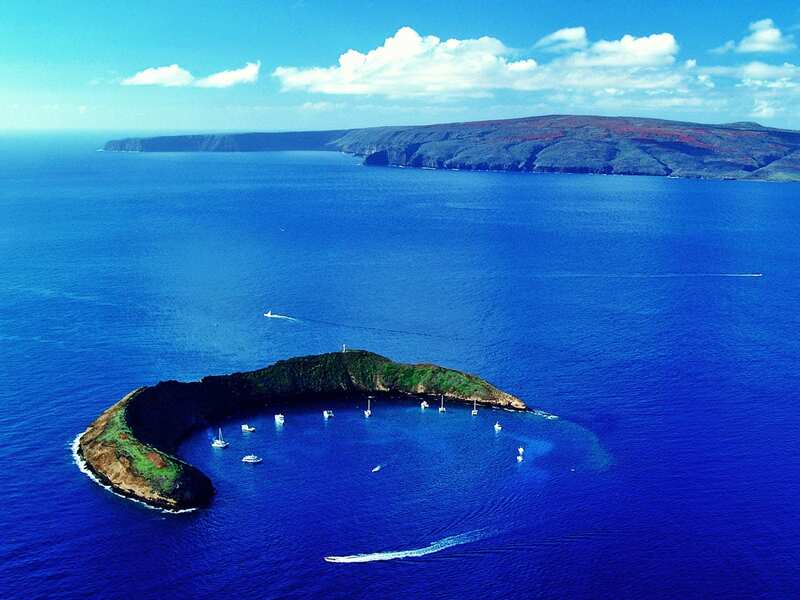 Molokini Crater is a partially submerged volcanic crater off the southern coast of Maui that is ideal for snorkeling, snuba, and scuba diving. Molokini is one of the seven Pleistocene epoch volcanoes that formed prehistoric Maui and remains to this day as a marine sanctuary below the ocean surface and a Hawai’i State Seabird Sanctuary on the crater itself. 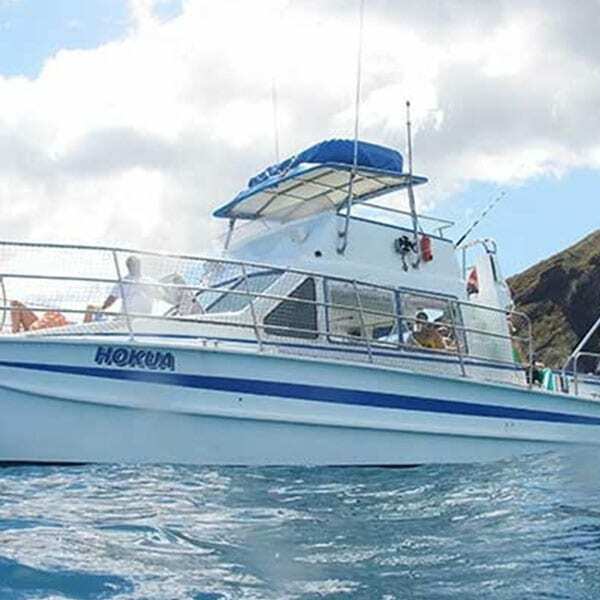 The clarity of the water is the first thing you’ll notice once you get off the boat and start to snorkel Molokini. 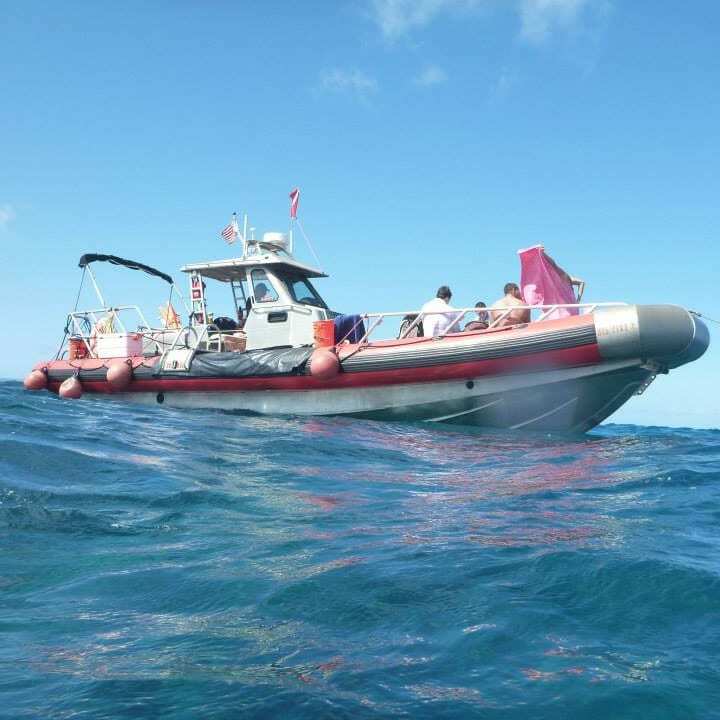 Visibility regularly exceeds 130 ft on a daily basis providing snorkelers and divers with unparalleled visibility of the hundreds of different reef fish and marine animals that call this treasured destination home. 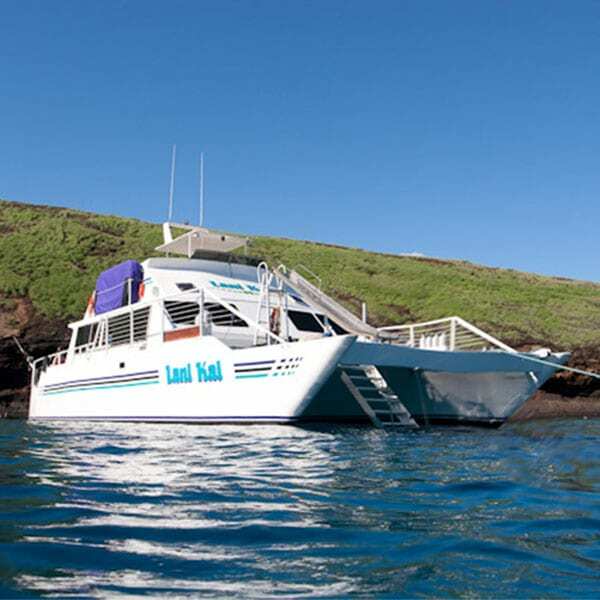 There are many Snorkel Molokini tours available, most of which depart from Maalaea Harbor. 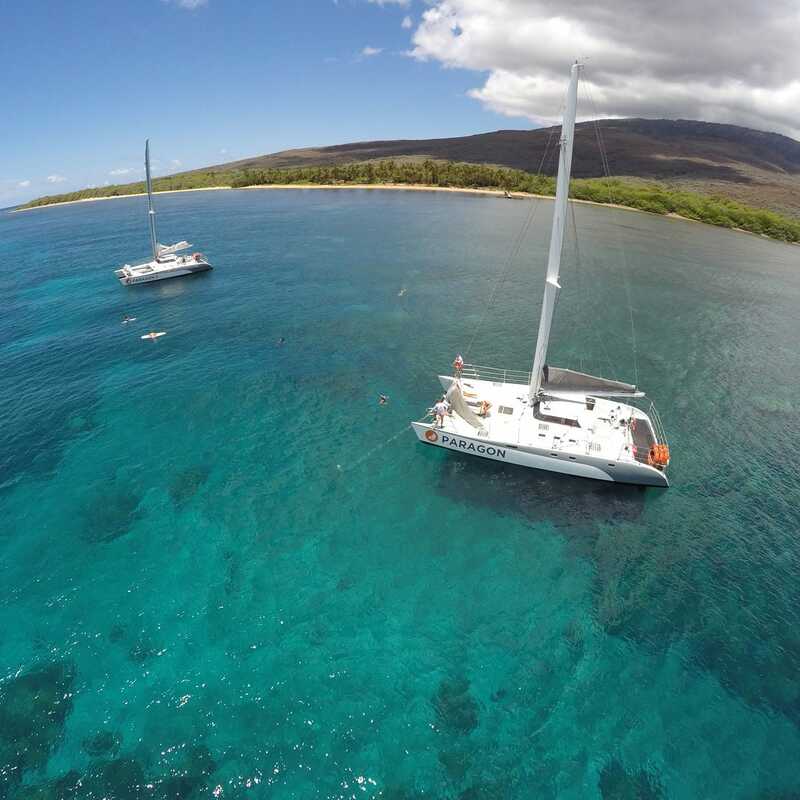 Maalaea Harbor is centrally located and makes the perfect launching point for this morning activity. You’ll notice that most of these tours depart early in the morning and that’s for a good reason. 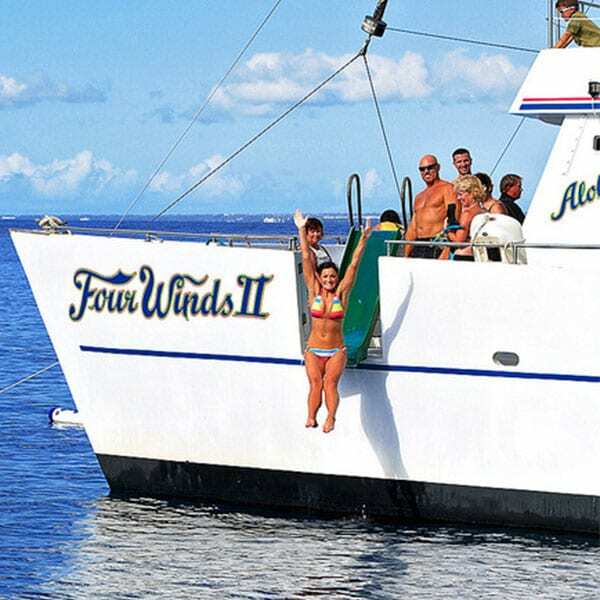 The trade winds on Maui have their own ideas and usually by noon these winds make passage to Molokini impossible. But, the gentle morning breeze is perfect to make the commute and the flat light makes for excellent photography with Haleakala mountain looming in the background. 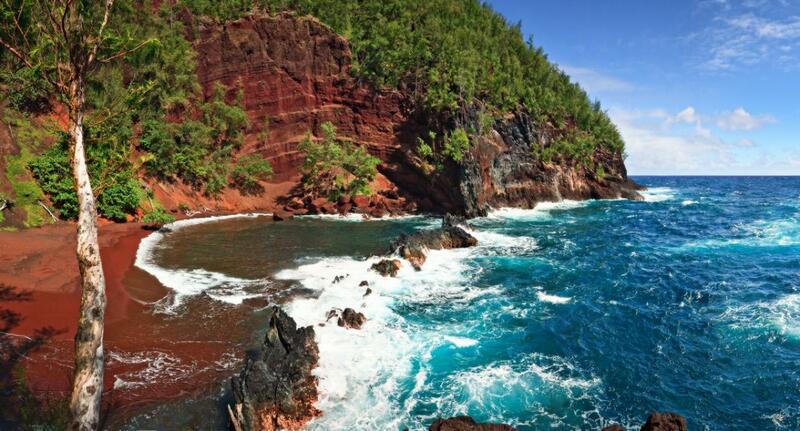 Take this opportunity to Snorkel Molokini today! 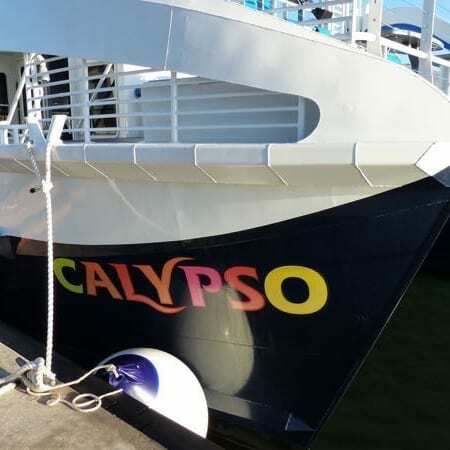 Of all of the boats that embark daily for the pristine snorkeling at Molokini Crater, the Calypso stands out as the best choice for this tour. 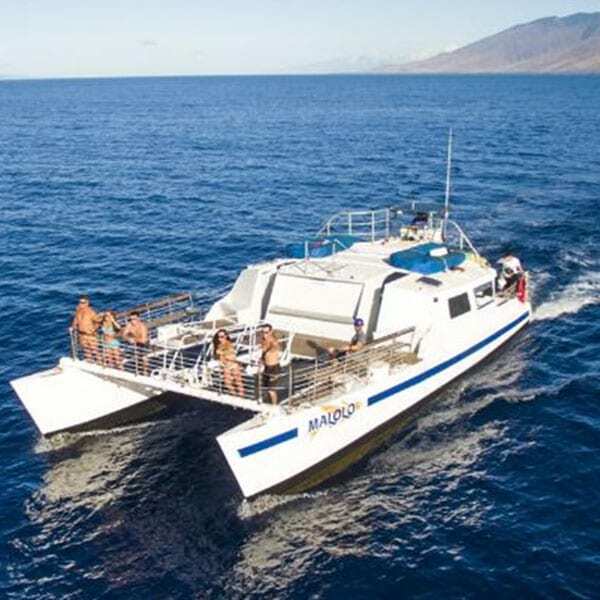 With premium snorkeling equipment provided inclusive of the cost, a professionally catered breakfast, lunch, and drink service throughout the day, and an updated one of a kind triple deck catamaran, this Molokini Snorkel tour is a cut above the rest. 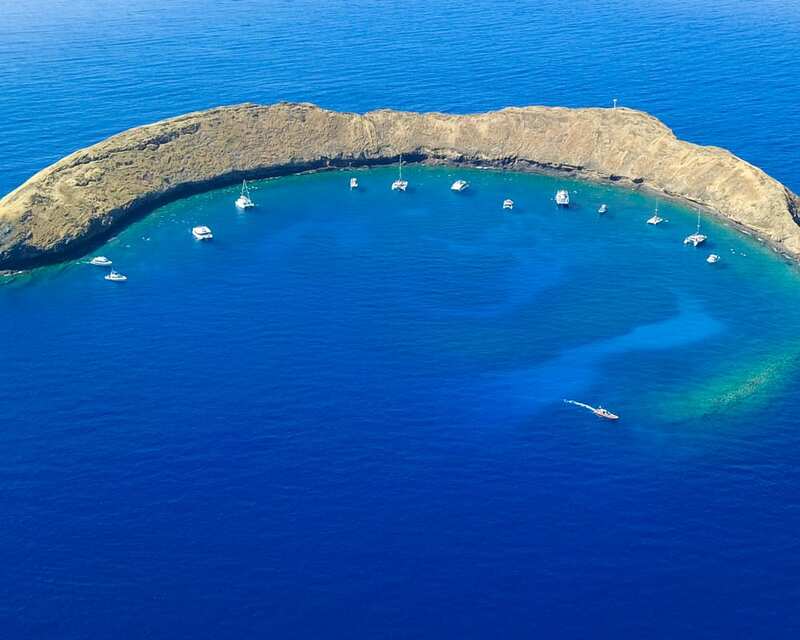 You’ll depart early in the morning to catch the best water conditions at Molokini, after an hour and a half of snorkeling at the crater, you’ll go to a second snorkel site, usually Turtle Town, and have a chance to explore the waters of Maui even further. 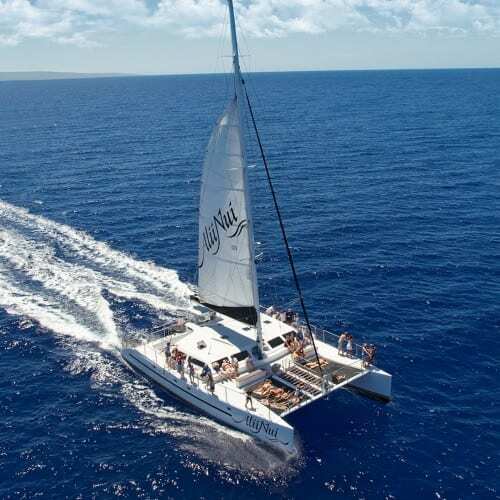 For a 5 to 6 hour tour, you’ll want comfort and this catamaran is seriously comfortable and spacious with amenities that other Molokini snorkel tours just don’t have. A snuba option also allows you to take the experience up a notch. 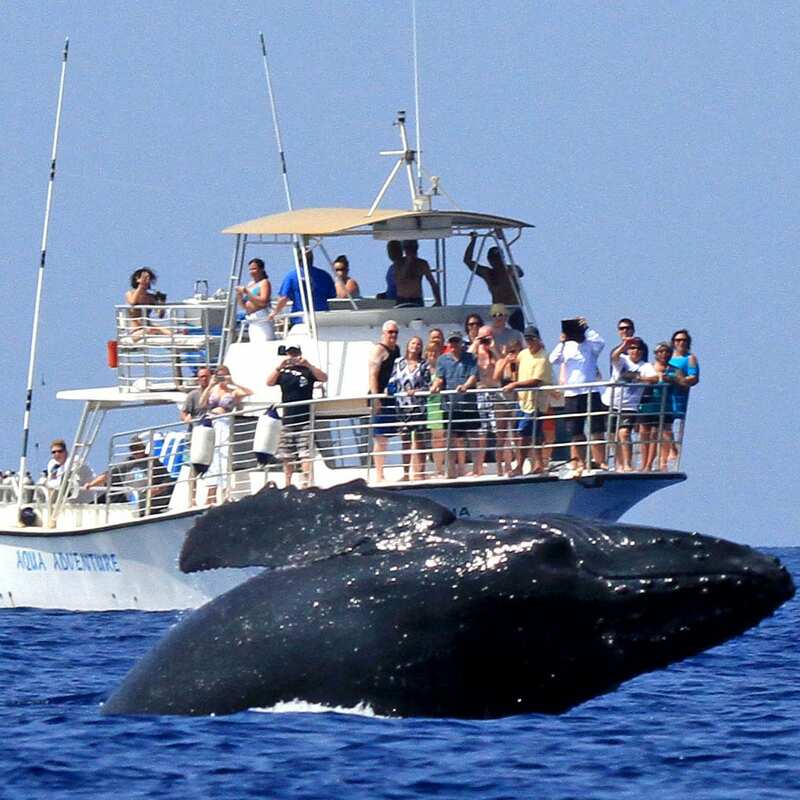 Pacific Whale Foundation offers incredible value with their Molokini snorkeling tour. You’ll depart from Maalaea Harbor early in the morning. 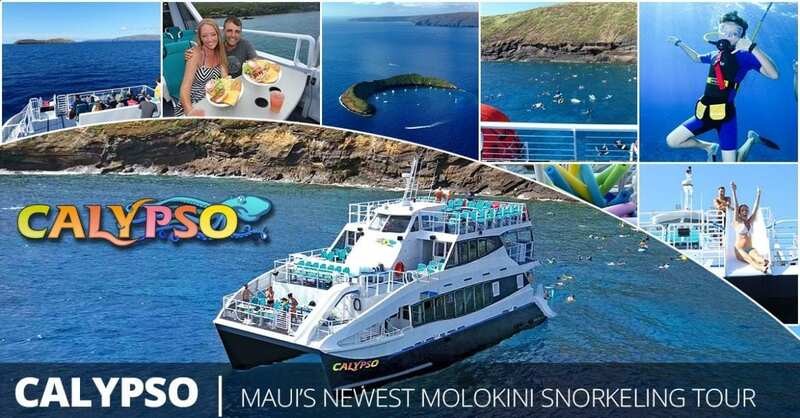 A continental breakfast with coffee is served onboard as you head for Molokini. Once at Molokini, you’ll have the benefit of certified naturalists from the Pacific Whale Foundation to be your personal snorkel guides. 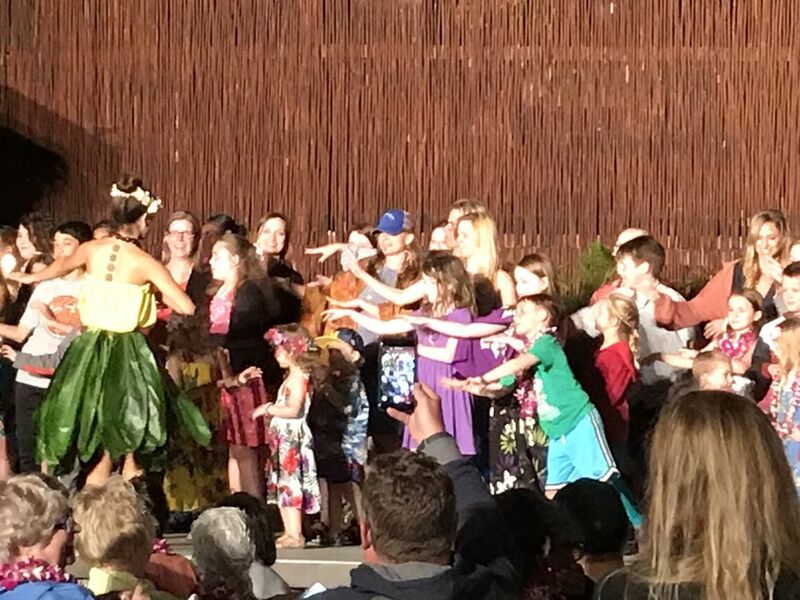 They will educate you about the number of endemic species Hawaii is known for and help make your experience special and personalized. This organization also gives back to the ocean through whale research and other efforts to protect this treasure for future generations. 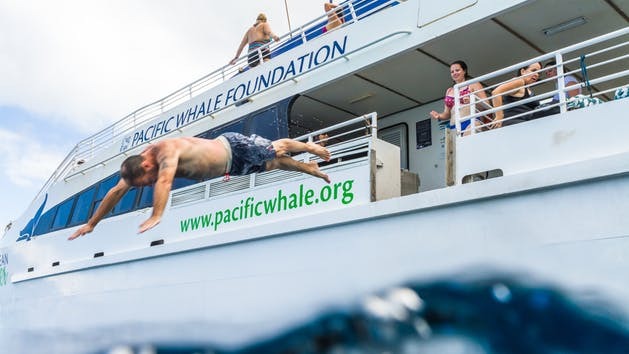 You can feel good about booking with Pacific Whale Foundation and have a wonderful time with them at Molokini Crater. All the bells and whistles as the other tours, for the most part, and a little bit better price point make this tour a great choice. 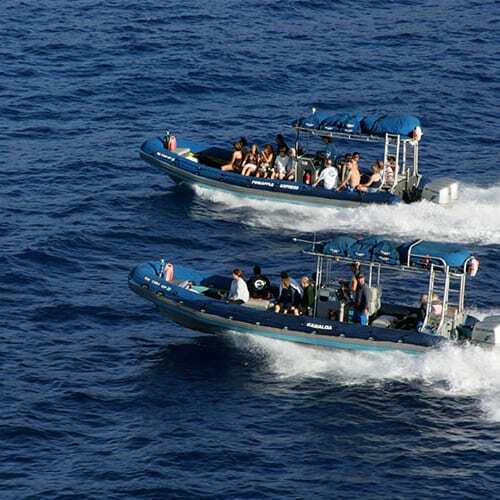 Redline Rafting offers a unique alternative to the normal Molokini snorkeling tours. 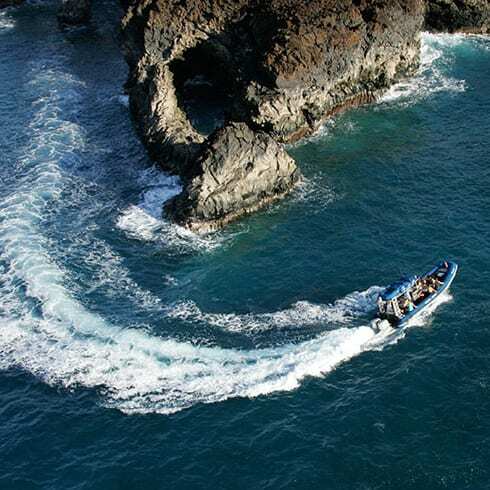 Redline Rafting utilizes the speed and small size of hard bottomed inflatable rafts to make the experience of snorkeling at Molokini a little bit more exciting. 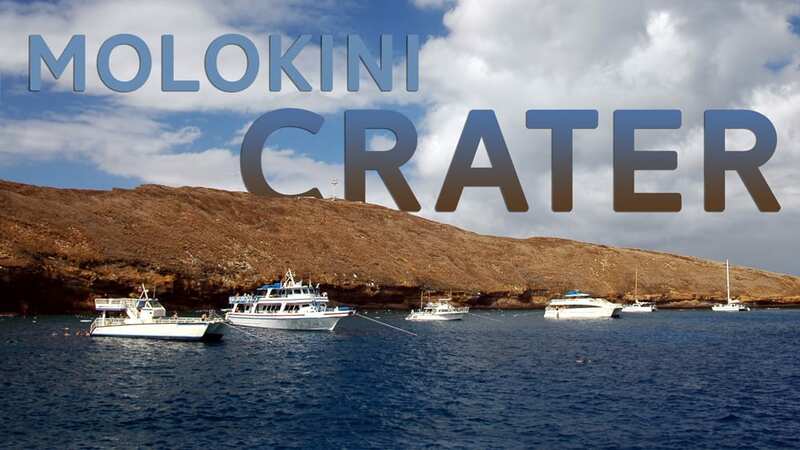 Departing from Kihei Boat Ramp, you’ll zoom out to Molokini and snorkel both inside the crater and the back wall as well. 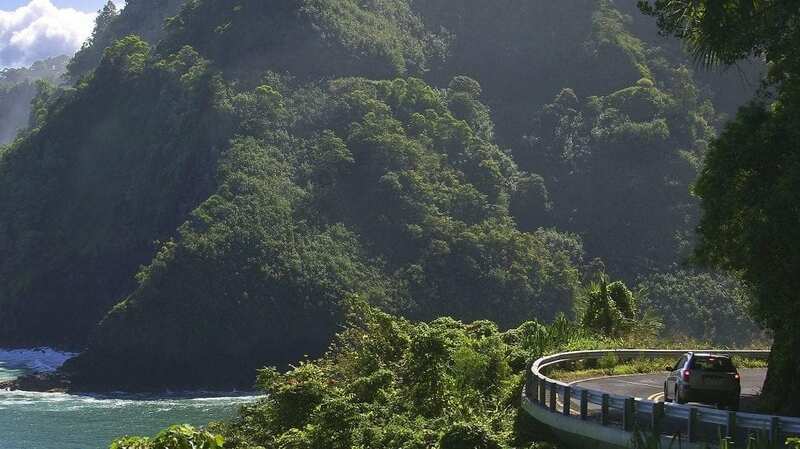 After that, you’ll be treated to two or three other snorkel sites along the southern coastline of Maui depending on conditions. Amenities are sparse compared to the catamarans, but what Redline lacks in amenities it makes up for in adventure. 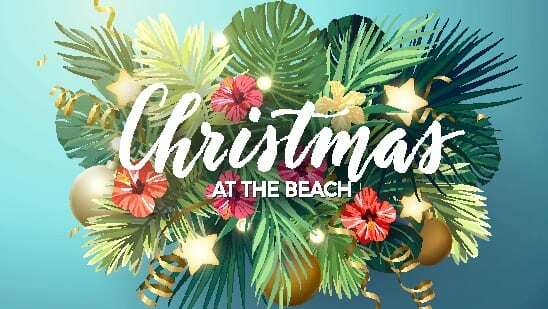 Find yourself on this action-packed day on Maui!